Ever looked at those fancy studio apartments in the movies and thought they must be fun to live in? Well, Studio Adda in Nashik is that place. A rustic and rich art home with a view, this compact one bedroom staying option is pretty rad and easy on the pocket too. This tiny home is an art studio, with eco-friendly architecture nestled in the lap of nature with nothing but peace all around. Sounds like the perfect solution if you're in the creative frame of mind, right? The interiors are rustic with mood lighting that has an instant calming effect. The place is often visited by artists and designers in the daytime, so you can choose to mingle with some creative folk. But don’t worry, your stay will not be affected by the day visitors who flock by; it's a creative melting pot, designed for intellectuals to cross paths. 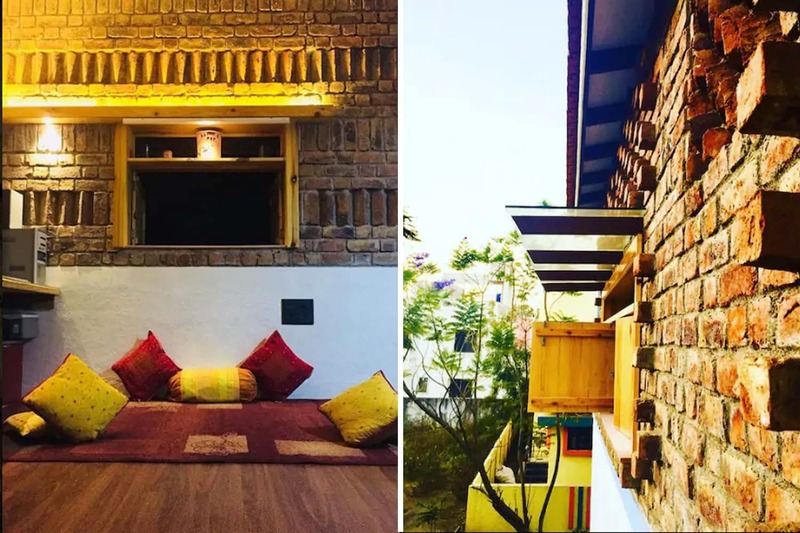 Very nominally priced, the per night charges for one person is INR 1,800, and INR 3,300 for four people (rates are subject to dates, season and availability). If books are your favourite companions, they have an in-house library, and an attic to spend some quite time with your book and cup of coffee.